UPDATED | Sky has posted an 18% increase in operating profit and now has over 12 million customers in the UK and Ireland, according to the company's annual results report. Across its European services, which includes Sky Deutschland and Sky Italia, the pay TV giant added over one million customers in the 12 months up to 30th June 2015. In the UK, additional customer growth continued to be fuelled by new services including Now TV, which sold almost three times as many sports passes as last year thanks to increased awareness and the introduction of the new Now TV Sky Sports week pass. Now TV has now launched a new monthly pass for Sky Sports and will launch a new faster box next month. Sky Online, the new German equivalent to Now TV is continuing to grow, and last week, Sky announced a deal with Aldi-Süd, that will see the Sky Online box available to buy at southern German branches of the discount retailer. Meanwhile, Sky Box Sets has generated more than 600 million views since launch while viewing in 2015 was equivalent Sky's fourth most popular channel. 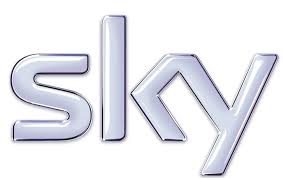 “The past 12 months have been an outstanding period of growth for Sky. We’ve successfully completed a deal that has transformed the size and scale of opportunity for the business whilst delivering an excellent financial and operational performance as more customers chose Sky and took more of our products. “The UK and Ireland, where our strategy is most progressed, put in a particularly strong performance. We passed the 12-million customer milestone with the highest growth in 11 years; we surpassed 38 million paid-for subscription products; and we delivered the lowest churn in 11 years. This is the direct result of the investments we’ve made in connected services and quality content with more than 7 million customers now connected." Sky is expected to launch a new UHD service in the UK shortly, and has recently acquired satellite transponder space to launch such a service in Germany and Austria.